How do gender and power relationships affect the expression of family, House and dynastic identities? The present study explores this question using a case study of the House of Orange-Nassau, whose extensive visual, material and archival sources from both male and female members enable the authors to trace their complex attempts to express, gain and maintain power: in texts, material culture, and spaces, as well as rituals, acts and practices. The book adopts several innovative approaches to the history of the Orange-Nassau family, and to familial and dynastic studies generally. Firstly, the authors analyse in detail a vast body of previously unexplored sources, including correspondence, artwork, architectural, horticultural and textual commissions, ceremonies, practices and individual actions that have, surprisingly, received little attention to date individually, and consider these as the collective practices of a key early modern dynastic family. They investigate new avenues about the meanings and practices of family and dynasty in the early modern period, extending current research that focuses on dominant men to ask how women and subordinate men understood 'family' and 'dynasty', in what respects such notions were shared among members, and how it might have been fractured and fashioned by individual experiences. 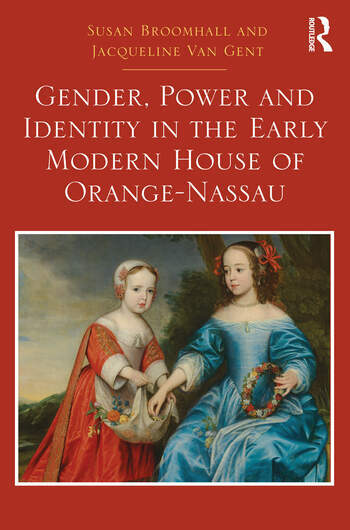 Adopting a transnational approach to the Nassau family, the authors explore the family's self-presentation across a range of languages, cultures and historiographical traditions, situating their representation of themselves as an influential House within an international context and offering a new vision of power as a gendered concept. Susan Broomhall is Professor of Early Modern History at The University of Western Australia. Jacqueline Van Gent is Associate Professor in History at The University of Western Australia.